Amidst the sweet proliferation of uber-trendy macarons and perplexing pastry mashups (we’re talking to you, Dominique Ansel), what’s a lowly cupcake to do? The demise of the cupcake, it seems, has been projected for years. “The icing is coming off America's cupcake craze,” The Wall Street Journal declared in April 2013. “The death of the cupcake is a victory for womankind,” Jezebel added to the rallying cry. But the beloved treats, whose origins actually trace back to an American cookbook from 1796, simply refuse to die. At Georgetown Cupcake -- one of a handful of uber-trendy vendors that also includes Magnolia Bakery, Crumbs Bake Shop and Sprinkles -- lines still snake regularly around the block. Distinguished by its D.C. origins, it might even be said that the modernist white storefront has become its own Washington monument of sorts. The Washington, D.C. flagship storefront. And while the shop’s success was immediate upon opening, its founders say, business has never been better than it is today. Lip-smacking variations like salted caramel and lavender earl grey teacake -- topped off by the bakery’s dense yet buoyant “signature swirl” of icing -- have spawned a fleet of storefronts across the country. It has also turned the affable sisters into reality stars on TLC’s DC Cupcakes, which frequently depicts them -- hovering over bedazzled Kitchen Aids in their famed pink aprons -- concocting sculptures composed entirely of miniature cupcakes. But beyond reality television notoriety, LaMontagne and Berman boast serious street cred. While cupcake dissidents often contend that the desserts are unsophisticated or too easy to make, the bakery actually rose to prominence as an unexpected darling of some of the nation’s most celebrated food critics. Early on the morning of February 15, 2008 -- on its second day of business -- Washington Post food writer Walter Nicholls knocked on the bakery’s front door. “These are great cupcakes,” he eventually proclaimed in a profile that the sisters say put them on the culinary map. Its hallowed status within foodie circles was cemented by a visit from Frank Bruni, chief restaurant critic for The New York Times. “Each different cupcake was beautifully colored and decorated prettily but sparely,” he gushed later that summer. The sisters are able to maintain such strict quality standards, they say, by specializing on cupcakes and nothing else. “We really wanted to do one thing, and do it best in class,” Berman says. Competitors, on the other hand, have chosen to diversify -- perhaps given the cupcake’s precarious fate. While Magnolia Bakery offers a full assortment of puddings, cakes, brownies and bars, Sprinkles branched out into ice cream and cookies in May 2012. And as foot traffic has plummeted at Crumbs -- which was recently delisted from the Nasdaq -- the company said it would bring its Cronut knockoff, conspicuously dubbed the Crumbnut, to retailers like BJ’s Wholesale. The company is also licensing its name for branded coffee and baking mixes to be sold at supermarkets nationwide. 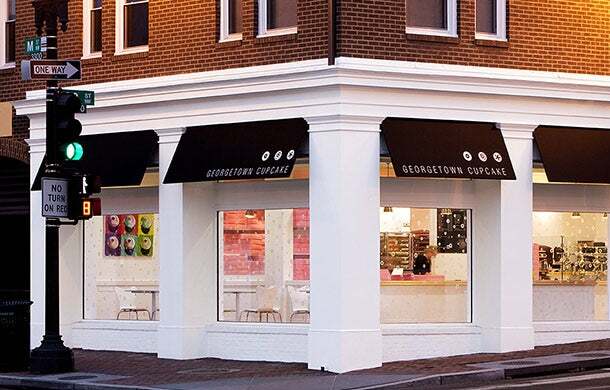 The only expansion Georgetown Cupcake is seeing, however, is a propagation of new stores. Its latest location -- joining branches in Bethesda, Md., New York, Boston and Los Angeles -- is slated to open in Atlanta this September. 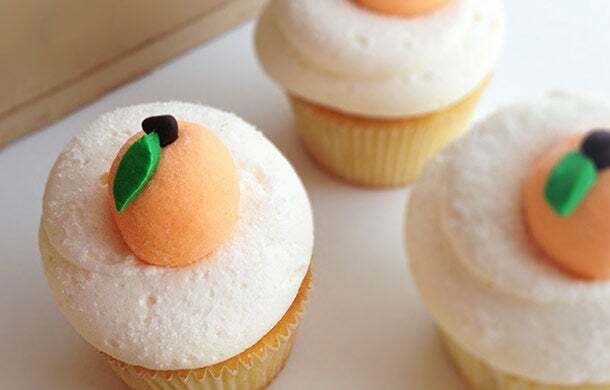 Delayed for over a year due to construction hiccups, the unveiling will be heralded by a new cupcake flavor, Peaches and Cream. And to complement its ecommerce business, which comprises roughly a third of total revenues, the company is rolling out its first-ever mobile app. Coming next week, it will enable customers to pay for cupcakes in-store and earn rewards, as well as to place bulk orders on their smartphones. Not bad for two sisters with no baking experience whatsoever who decided to abandon their successful corporate careers after having long been beckoned by an entrepreneurial "spark." And in the face of naysayers decrying the cupcake’s demise, the sisters say that seeing the tangible results of their labors -- being devoured on street corners or decorating wedding parties, for instance -- has already been more gratifying than either of them could have ever imagined.